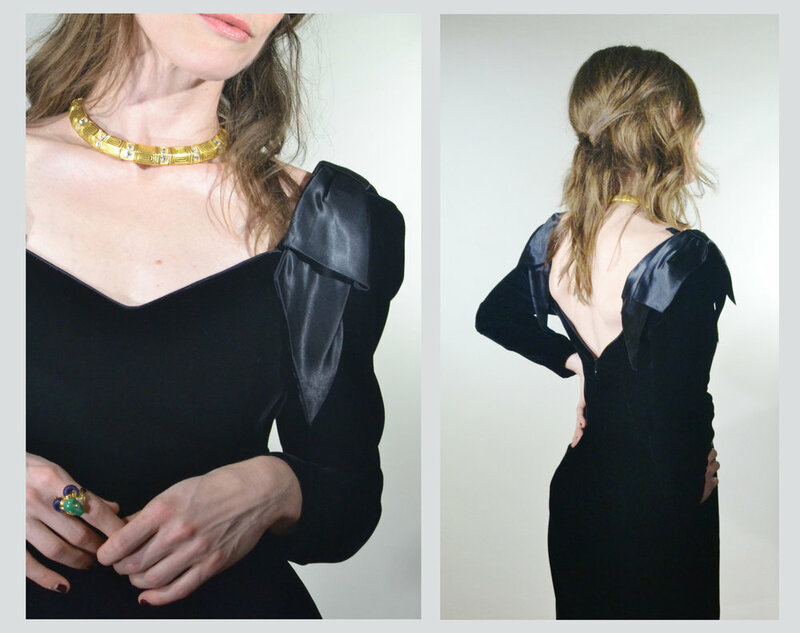 Please scroll down to see the 1980s Party Dress with Leaf Sleeve Detail modeled and in greater detail. Inspired by: Jennifer Grey at the 1988 Academy Awards. Materials: Acetate (body), rayon (sleeve detail), nylon (lining). Closures: Single, hidden center back zipper. There are also hanger/bra snaps under the leaf detail in each shoulder and snaps for the back of the bra, as well. What a silhouette! 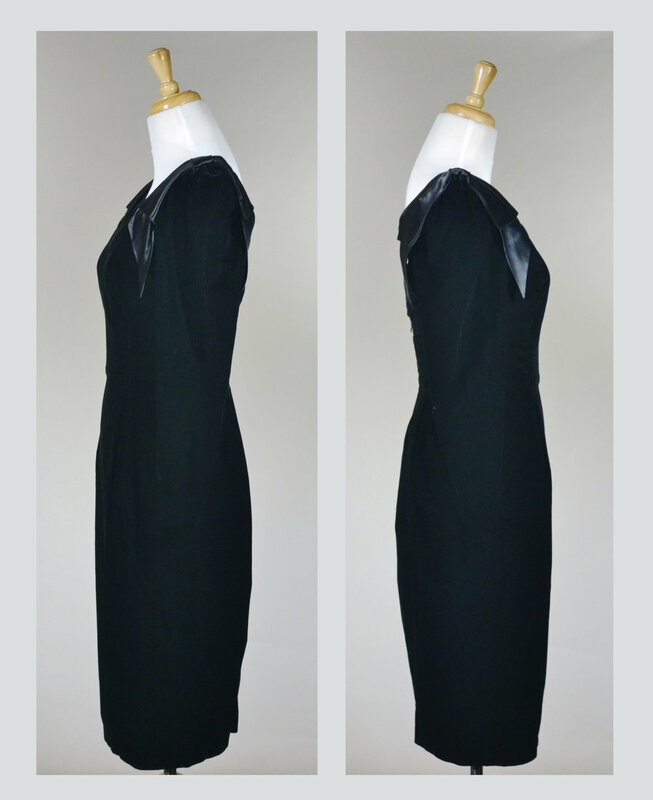 This is a very flattering style for those with an hourglass figure. There is one minor flaw less, than 1/2" in size, on the back of the right sleeve near the elbow area. Please see the image below for a closure look. Although this is technically a blemish, I have still listed the dress in Excellent condition, as it is otherwise in fantastic shape. Depending on the exact shape of the wearer, some stitches may appear more exposed than others along the bodice, but the dress is structurally sound. I'm not a big bra wearer myself (the blessing of a small bust, I suppose), but I highly recommend wearing one with this dress and using the included bra snaps. Otherwise, it will likely fall down the shoulders. Minor fabric flaw on the elbow of the right sleeve, less than 1/2".